If you notice one of the twelve new blue bird houses installed along the walking trail around Pelahatchie Bay, thank Eagle Scout Taylor Bowlin, Keep the Rez Beautiful and Lowe's. Thanks to Taylor Bowlin, and his father James for providing new habitat houses for bluebirds. Taylor's Eagle Scout project is finished and KRB is excited to announce that 12 new bluebird habitat houses have been installed around the 12 mile walking/jogging loop on the Rankin County side of the Reservoir. . The trail begins and ends at the KRB/PRVWSD Turtle Point Nature Area on Scenic Drive. 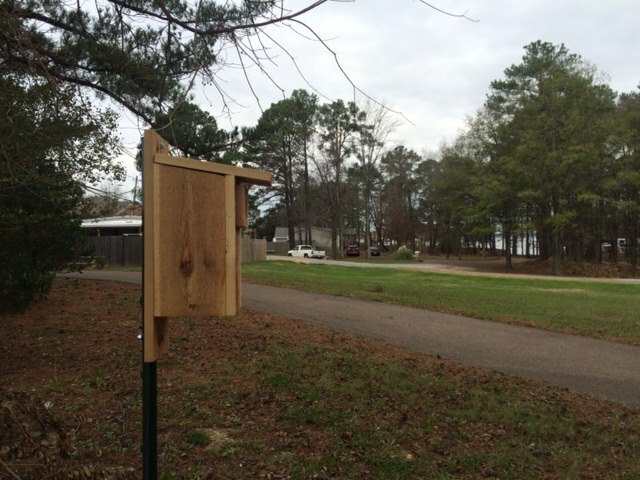 As you walk, jog or bike, check out the new bluebird boxes. Special thanks to Taylor and James for all their hard work! Special funding was provided by Keep America Beautiful and Lowe's. 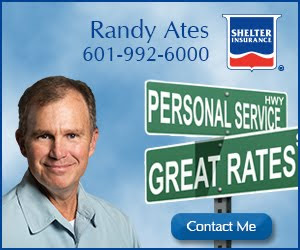 Keep The Rez Beautiful welcomes other volunteer projects. Please contact us for more information. Ah.... houses for blue birds! I saw the text yesterday but not the picture and thought they were bird houses painted blue! DUH!